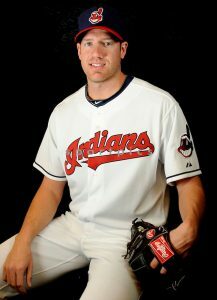 Cleveland Indians pitcher Zach McAllister is heading to Illinois next month to host a first-ever event that will include baseball camp on select days as well as a silent auction in mid-January. All proceeds will be donated to benefit St. Jude Children’s Research Hospital and Advocates for Access, so it’s for a good cause as well as fun. As for The Zach McAllister Baseball Camp, it will open its doors to students in grades third through eighth on January 16th in two groups that each have 3.5 hours in their sessions. A maximum of 50 campers per session will be allowed, and tickets for each kid is going to be $100. On January 15th, McAllister will have his “Night at the Ballpark with Zach McAllister” from 5 to 7 and will include a Q&A session, nacho bar, and silent auction. Tickets to get into that are $25 per person. The Chillicothe, Illinois native started playing baseball for his high school and was even named the Gatorade Illinois Baseball Player of the Year in 2005-2006. He entered the 2006 MLB Draft and was selected in the third round by the Cleveland Indians and was ranked one of the country’s best prospects of the year. He finally made his MLB debut in July 2011 and has been a rising star ever since, even making it to the 2016 World Series. McAllister will be back in his hometown area of Illinois next month to interact with his fans, host a baseball camp, and have a night at the ballpark with others wanting to take part in some other fun events. Be sure to get your tickets early, as some of the activities have limited space! If your company is interested in finding out availability and booking fees for a professional baseball player like Zach McAllister or other sports celebrities for an Autograph Signing, Product Promotion, Guest Appearance, or Baseball Camp, call us at 1-888-246-7141.